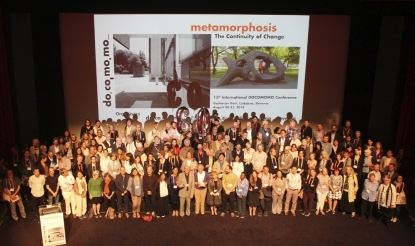 The biennial Docomomo Conference, under the theme “Metamorphosis. The Continuity of Change”, took place at the Cankarjev Dom (architect E. Ravnikar, 1977-1980), in Ljubljana, Slovenia, between the 28th and the 31st of August, 2018. 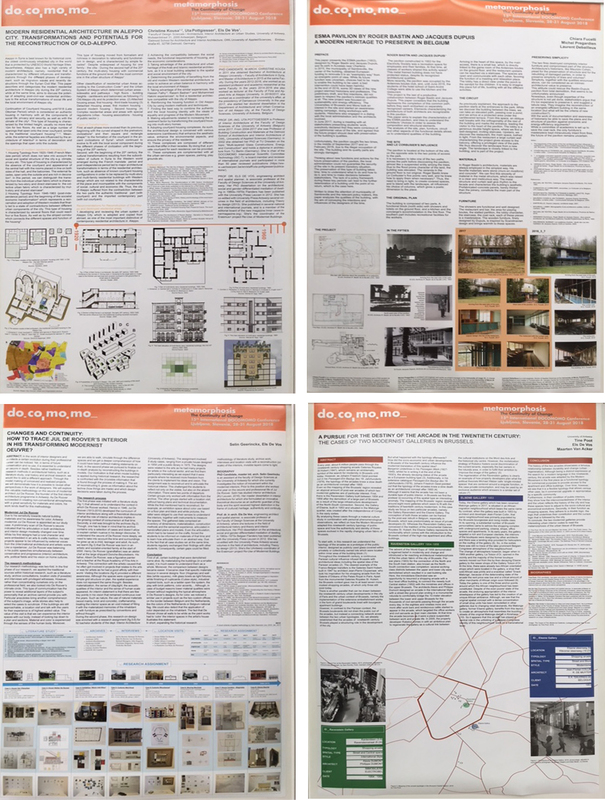 There was a presentation by Anica Dragutinovic, Utah Pottgiesser and Els De Vos about “(Un-)Sustainability of the Concrete Mega-Blocks in New Belgrade: Potentials of Prefabricated Modern Structures for Transformation”. In total 10 Belgians participated: Marc Dubois, Zsuzsanna Böröcz, Karina Van Herck, Sander Van Duppen, Brecht Van Duppen, Jo Braeken, Anica Dragutinovic, Els De Vos, Julie Verhelst and Chiara Fucelli. The congress offered ample opportunity to collaborate with international members of the DOCOMOMO ISC on Interior Design on a plan for the future. The general counsel unanimously approved the expansion of the board. Besides the co-chairs Zsuzsanna Böröcz and Bárbara Coutinho the Isc-ID now also has a secretary, the Danish architect and doctoral student Eva Storgaard attached to the University of Antwerp. The following congress will take place in Tokyo (Japan), between 15 and 18 September 2020, and focus on the theme of “Resilient Inheritability: Sharing Values of Global Modernity”. 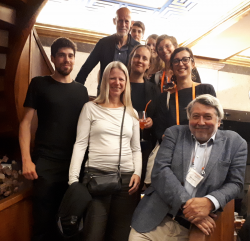 The 15th International Docomomo Conference 2018 was closed with a roundtable celebrating the 30 years of Docomomo and a tribute to the founders of Docomomo, Hubert-Jan Henket and Wessel de Jonge, for the 30th anniversary of Docomomo, followed by a party held at The Skyscraper. Download PDF: index from the proceedings.